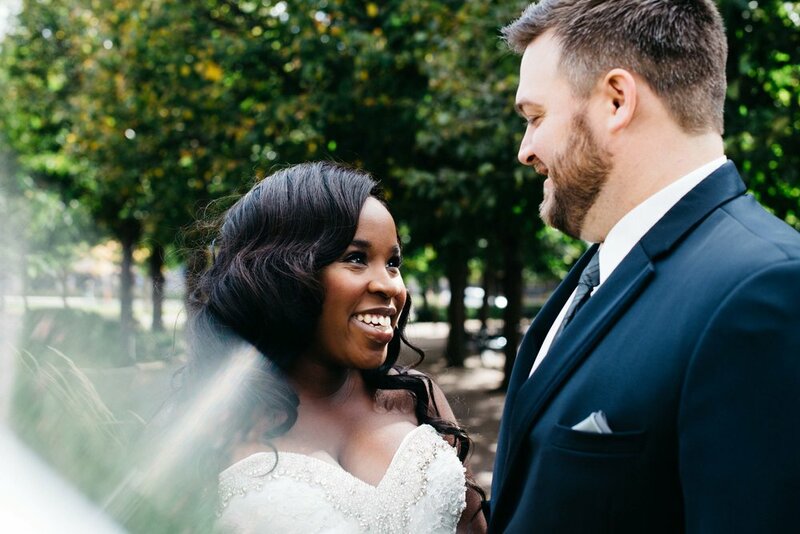 Andy and Bernice met online through the dating site OkCupid in May 2014. Andy proposed at sunset on a beach in beautiful Punta Cana, Dominican Republic in October 2015. Doesn't that sound dreamy?! 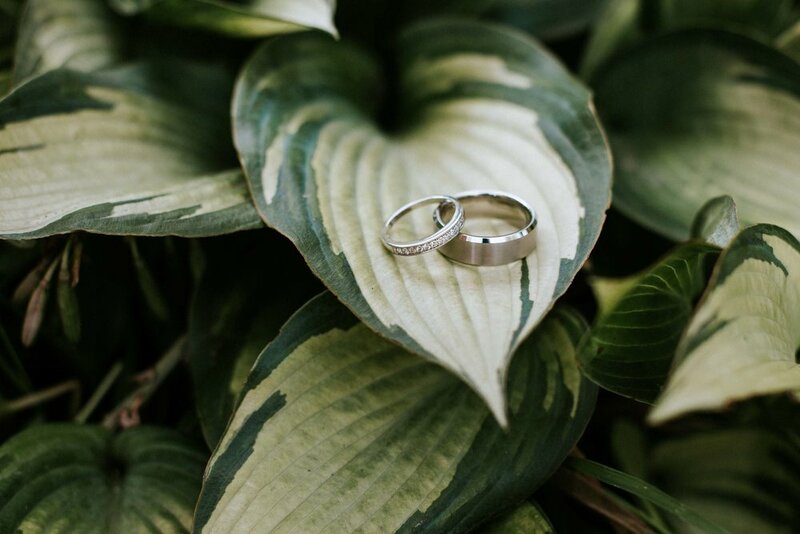 They shared with us that they wanted to select a wedding date the following October leading them to be joined in marriage on October 7 at Bethel Lutheran Church in Saint Paul, MN and their reception at Profile Event Center (PEC) in Minneapolis, MN. They picked PEC because of their all-inclusive, a la carte style. Food/desserts, drinks, decor, tableware, florists, and photobooth were all provided through PEC. More information about Andy and Bernice's vendors can be found at the bottom of this blog post! To celebrate their marriage and the start of their life together, they spent their honeymoon back in the Dominican Republic on the one year anniversary of Andy's proposal - how incredibly sweet! Dress from Bridal Aisle. 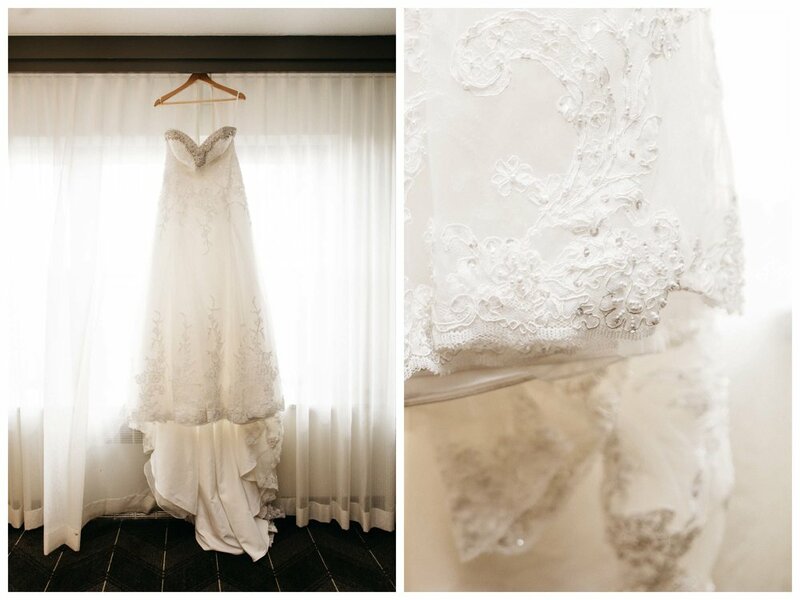 Dress Alterations from Amazing Alterations. Groom's Tuxedo from Savvi Formalwear. Hair by Hair By Theresa. Makeup by Sal Rodriguez. Getting Ready Location at The Commons Hotel in Minneapolis, MN. Ceremony Venue at Bethel Lutheran Church in Saint Paul, MN. Reception Venue at Profile Event Center in Minneapolis, MN. Flowers through PEC by Flowers by Heather Feather. DJ through PEC by Matt Fulton from Fulton Productions.